Overlooking the Nissan Sentra has gone from understandable to unadvisable. Completely redesigned for 2013, the new Sentra compact sedan is tastefully styled, attractively appointed and exceptionally roomy. Tech-savvier buyers will appreciate the available Google, Pandora and text messaging features, while everyone can benefit from the Sentra's class-leading combined city/highway fuel economy of 34 mpg. My car is roomier than it looks from the outside. It is small and has a four cylinder engine, so it is less powerful than my previous car (V6), but it gets MUCH better gas mileage than my previous car. I miss the power of my old car, but I love the gas mileage I get with my Sentra. It is comfortable for me to drive, even on long trips, and I can seat my family in it comfortably in spite of It's small size. Love that the trunk is bigger than you'd think it would be looking at the car from the outside. The blind spots are very blind spots. More than once I have changed lanes only to have a car appear on my bumper with me wondering where it came from, or it blowing It's horn (so I assume it was there and I didn't see it before I made my move). I have to be hyper-vigilant about keeping up with what's going on around and behind me in traffic. Nissan Sentra transmission issue warning. I have had my Nissan Sentra for about three years now and it has been up and down. I had to get my transmission replaced within two years of having the vehicle. There was a point where my car would just shut down for no reason and I would have to pull over and restart it in order for it to do drive again. This lasted for about 2 months until the transmission was replaced. Now that there is a new transmission it has been a fine car to drive with no problems. It gets me from point A to point B daily and it does great on gas as well. I have seen other reviews stating that this same model has had other cases of premature transmission issues as well. Aside from that problem I would say that it's a great, affordable car to have. 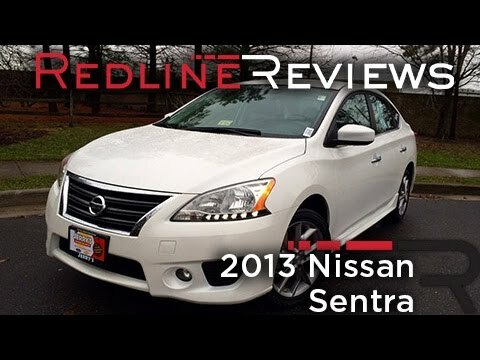 Nissan Sentra a small car that drives like bigger cars easy to maneuver. My Nissan Sentra is not really a bad car at all. It is been 100% reliable such as, it always starts right up, it has never broken down on us and it has never needed new parts and we never had to get a mechanic to fix it. Only minor upkeep has been all we have done on the car so far. It is a pretty small car which I like. It is good on gas and although small it has 4 doors which is a plus in my book. Plus this car truly does ride pretty smoothly despite its small size. Yet even with all of the positive things I have told you about our car I still feel like it's the wrong car for me. Its looks like a mom should be driving it which I am but it's just not my style. Nissan North America, Inc. (Nissan) is recalling certain model year 2013-2016 Sentra vehicles manufactured June 13, 2012, to April 14, 2016. The front passenger seat belt bracket may become deformed if it is used to secure a Child Restraint System (CRS). The deformed seat bracket may cause the Occupant Classification System (OCS) to incorrectly classify the installed CRS, resulting in the front passenger air bag to not be turned off as designed when a CRS is in the seat. Nissan will notify owners, and dealers will reinforce the seat belt bracket as well as reprogram the Air Bag Control Unit (ACU) and OCS Electronic Control Unit (ECU), free of charge. The remedy is not yet available. Owners will be mailed an interim notification by the end of June 2016 and will be sent a second letter when the remedy is available. Owners are warned not to install a CRS in the front seat. Owners may contact Nissan customer service at 1-800-867-7669.